Hair salons have been popping everywhere. 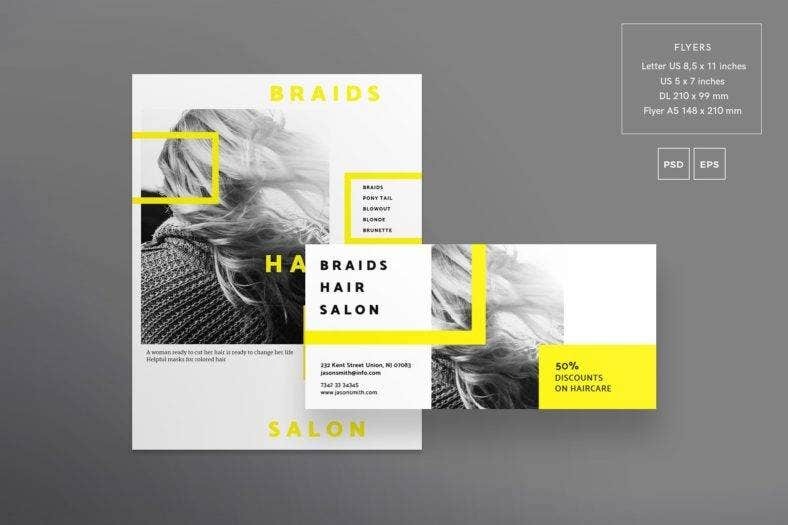 As a hair salon owner, you need to promote your hair salon service in the most effective way possible as there are numerous competitors out there. And, what better promotional tool could there be other than flyers? There is a constant need for having your hair to look the best way possible, especially if there are important events that you need to attend. 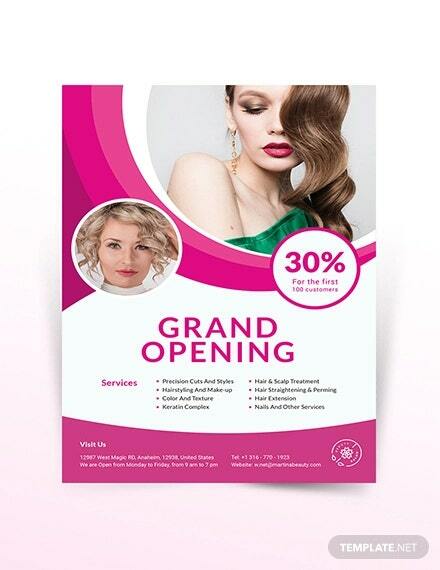 So, customers are always on the lookout for hair salon flyers everywhere. 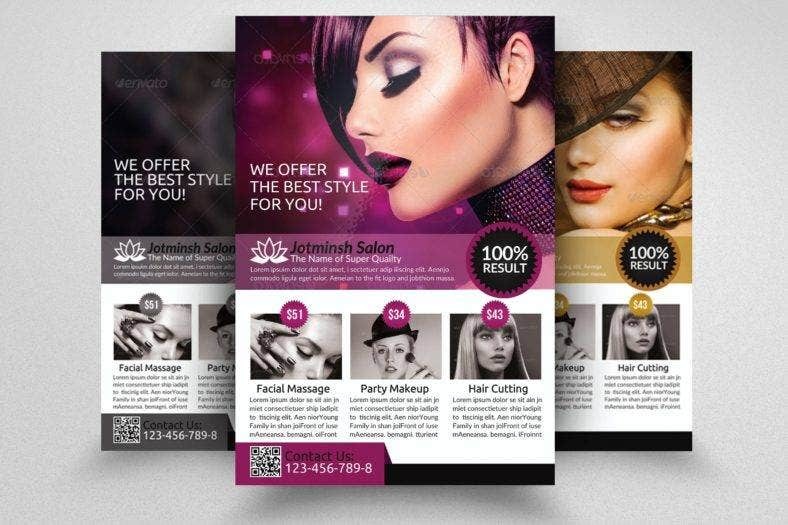 With that in mind, as the business owner, you need to make your flyer designs as attractive as possible. 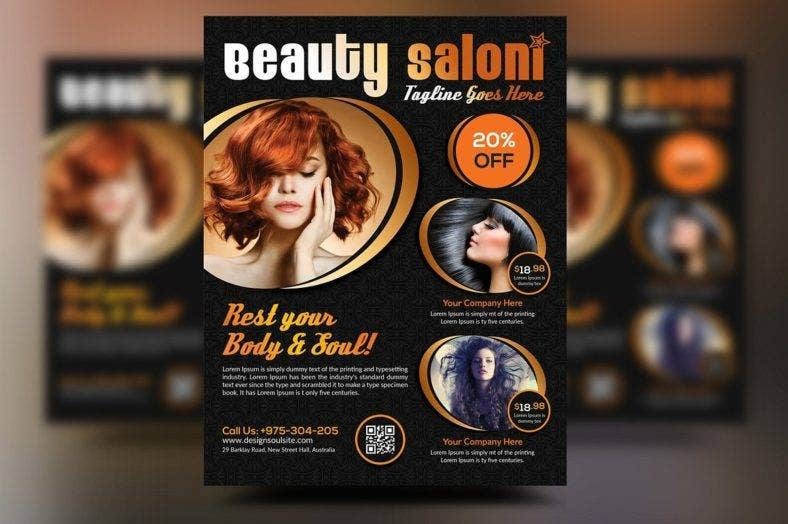 If you don’t know how to do so, then you are in luck because we have prepared a list of stunningly beautiful hair salon flyers that you can use to promote your business. Check them out below! Owning a hair salon is a life-long dream that many beauty-inspired professionals aspire to achieve. If you are confident with your styling skills and have the budget to back up your capital, then you are already halfway there. However, just like any industry, opening up a business entails various tedious tasks and responsibilities needed to be completed. If you are going to test your beauty skills by opening up your own salon, then there are things that you should know before doing so. Never charge into a battlefield without any plan in thought. 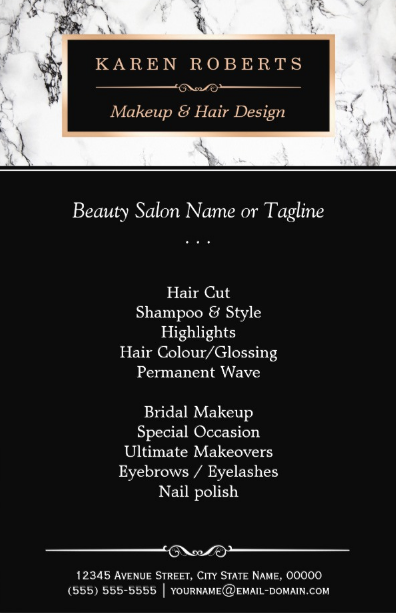 Creating a business plan is the key to starting a salon and it gives you a roadmap to follow every needed step to successfully open your salon. Doing so will help you consider the financials and determine the amount of budget you need to prepare for the expenses, such as the cost of the room or building, the equipment, and the marketing tools to promote your hair salon. Aside from the expenses, creating a free business plan helps you with other important matters like acquiring business permits and other certifications needed to conduct a business in the area where your hair salon is at. It also aids in guiding you on what steps to take when you have compiled every requirement for opening a hair salon. It’s best to know which direction you are going to rather than blindly diving into it and just go with what you think is best. This is the preparation for an opening; you need to do it right. 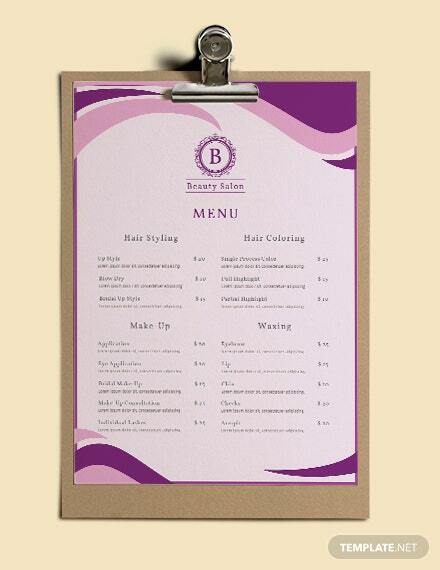 Salons are everywhere and to stand out, you need more than just a variety of offers. 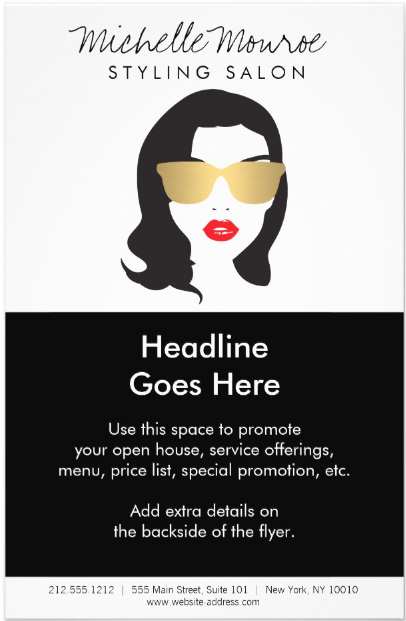 If you have a specialty or service niche that separates you from the rest of your competitors, promote it to create a buzz and increase press about opening your hair salon. Don’t be like everybody else who tries to impress everyone by just offering a huge menu of services; it will not help you achieve the goal of standing out in the sea of hair salons in your area. Even if you do offer a lot of services, having a specialty service or niche will help you attract a very loyal client base and help build your reputation and credibility in your niche space. Knowing the local laws and regulations beforehand allows you to alter certain parts of your simple business plan before you potentially get to stop your operations or pay a huge fine. Doing so will save you time and money, and in general, it saves your business. There are still a lot of important matters to attend to; you don’t want to halt your progress just because you overlooked a simple regulation. Talking to distributors gives you ideas on which products to obtain for your services. 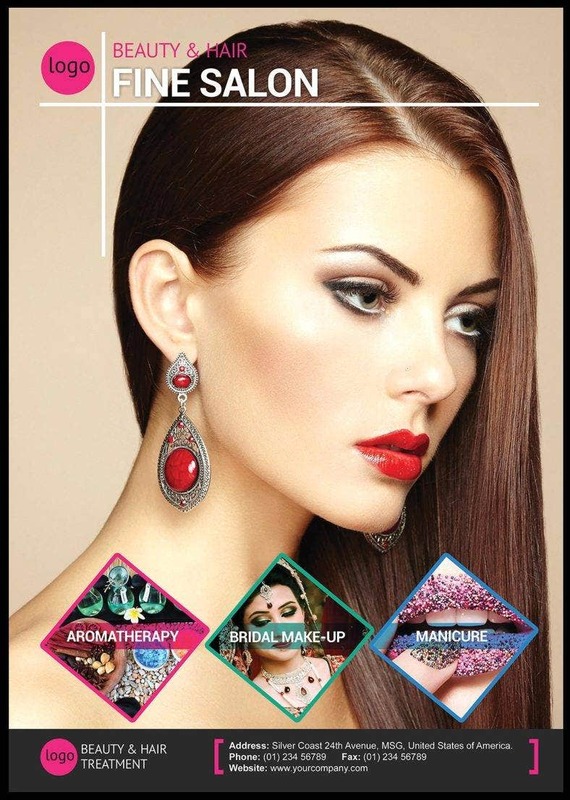 Also, some of them even offer support services such as training and consultants to salon owners and staff. This will help further improve your services and small business which would then result in happy and satisfied customers. Most veterans in any industry advise aspiring entrepreneurs to have a number of professional clients to cover the overhead. Salon employees have an independent mentality and will endeavor to a power play. With a strong customer base of your own, you’ll be in a superior position to give orders. This is an important step before you consider opening up a hair salon. 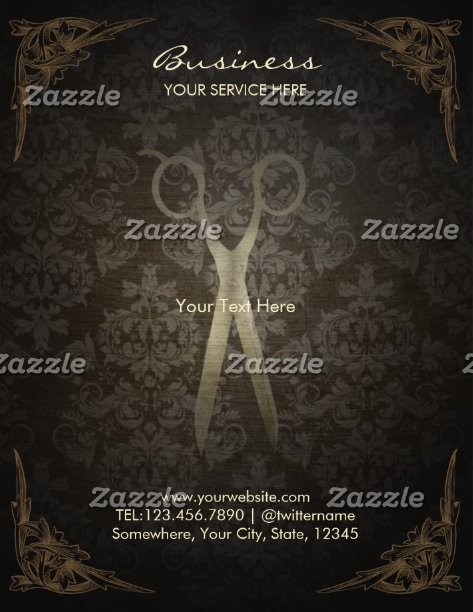 You can choose a location that has less competition or an area where you are the first to open up a hair salon. But, if you look at it, these kinds of locations will only mean that the residents’ population is definitely low. And, in business, this means that there is little profit to be gained. 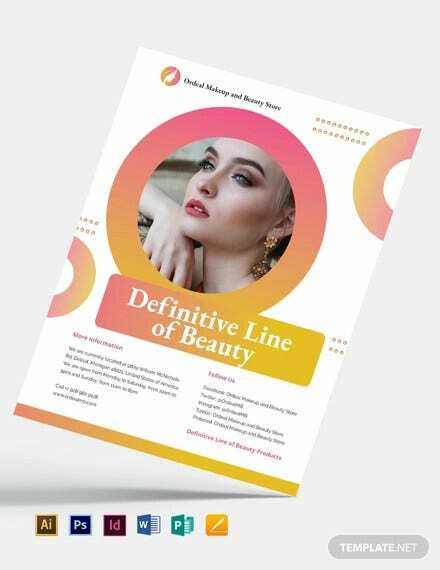 But, on the optimistic side of the spectrum, it also means that you get the opportunity to gain dominance over other salons in the area if you do your job right and build your business bigger than you expected. On the other side, you can also put up a hair salon in crowded places like a city. There are more potential customers but there are also more competitors. The competition is going to be steep. But again, if you have a certain niche or specialty service, you can gain leverage from the other salons and use it to your advantage. Offer it every time a customer comes and they might be intrigued to try it. Aside from considering the population of the area where you will be building your hair salon, it is also important to note to best look for a location where there is a parking space. If you make it convenient for your customers, it would directly translate to more revenue to cover other expenses and put toward the growth of your business. 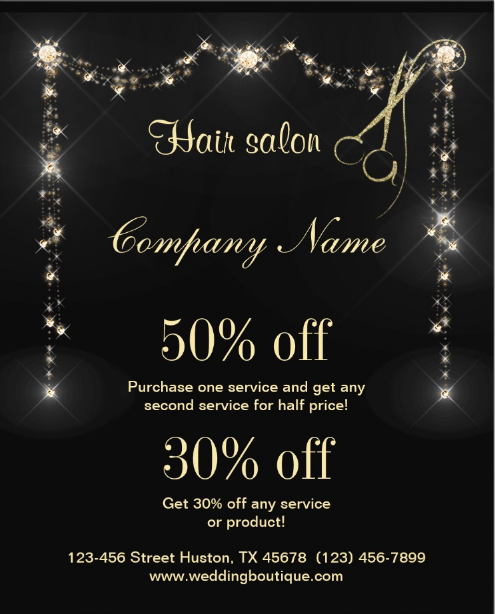 Your staff is an important factor for your hair salon’s success. Invest in training and motivation your staff. Provide training that will improve their technical and interpersonal skills. The training on technical skills will improve their performance and gain confidence in it, while the training on interpersonal skills will give them the boost in self-confidence and allows for a more approachable vibe when interacting with the customers. Aside from giving satisfying service, it is important that they entertain the customers through meaningful conversations. This will help in converting your customer into a loyal client as it establishes a personal connection between the staff and the customer. Also, these loyal customers might even tip a bigger amount to your staff. We all have problems with our finances no matter how big or small it is, and these tips will definitely help your staff in little ways. As with any business, customer satisfaction is the main goal. A hair salon is customer-centric, and as such, it is important to provide satisfactory or excellent services to the customers. Create a vision for how you want your customers to feel and what you want them to experience whenever they pay for your services. This will help in maintaining a good impression about your hair salon. Also, this will help your hair salon in the long run. Satisfied clients will always come back for your services, which would only mean for a customer conversion and influx of income. If you continue to improve your services with your customer’s interest in mind, then you are definitely on your way to success. 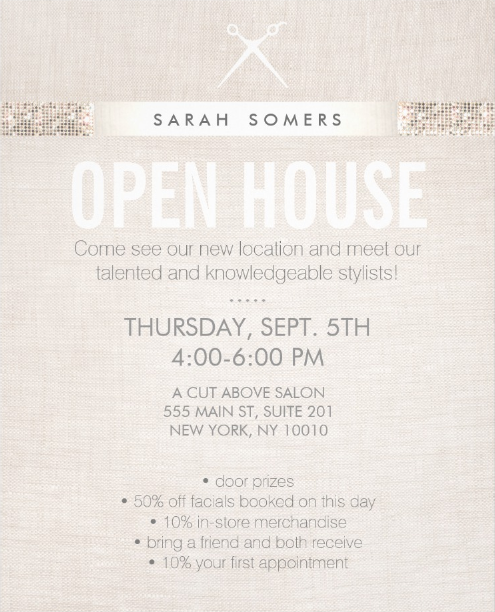 This talks about the interior and exterior design of your hair salon. Work with designers that would help maximize the revenue potential of your space. Be mindful of any plumbing concerns, and take advantage of space in the center of your hair salon with double-sided stations or other uses. It is important that you know the dimensions of the different sections of your salon so you would know which equipment goes to a certain area. 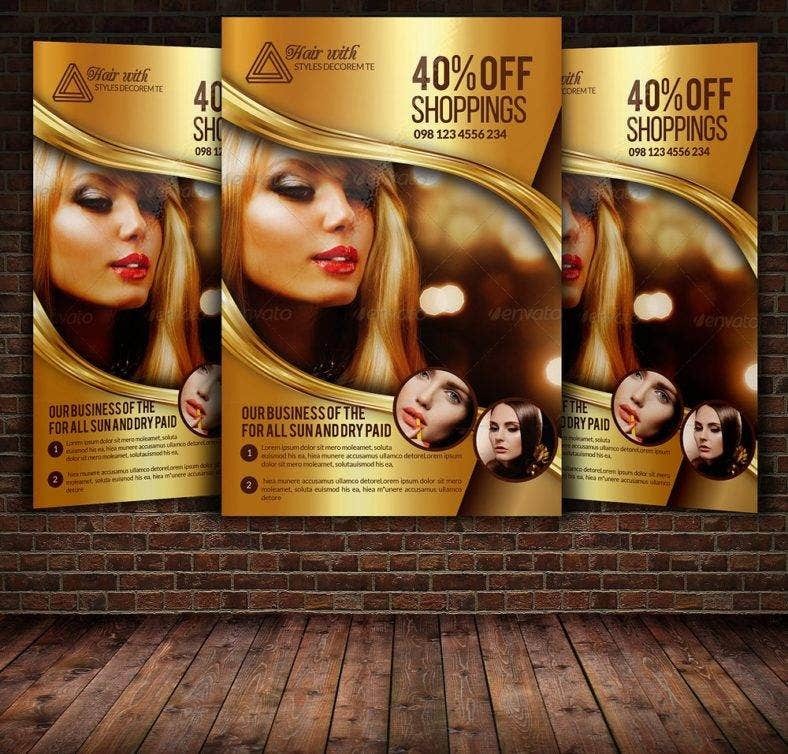 Keeping in mind the aesthetics of your hair salon would help gain positive impressions from your customers. You could choose a theme that you could tell the designer to make or let him/her work the magic. Having a theme or a concept will help you solidify your identity. People would then easily remember your hair salon if they think of the concept that you have. Don’t base the charges of your services with any of your competitors; you don’t know what their skill sets are. 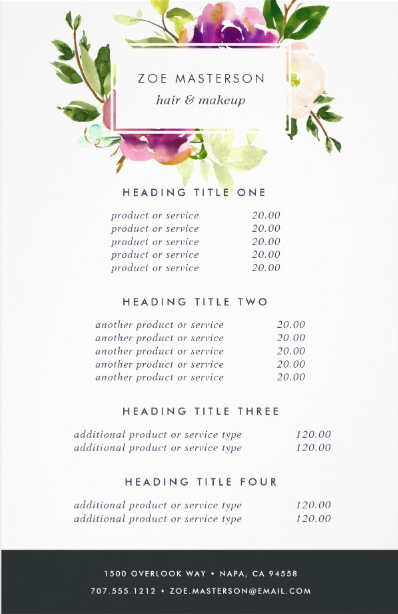 Of course, you have to set your prices fairly. But, if you are confident that you can deliver the best output from a certain service, then charge it as you see fit. If you are great at what you do as you say you are, people will undoubtedly pay for it. Know your worth. Once you get to open your salon, you will shift your thinking towards growing your business. Take note of these key points on how to grow your hair salon business. Character over skills. Skills can be trained, but the character will always stay true to who the person is. When you are just starting your business, you might be the only employee. But, if the business picks up, you definitely need additional help. When that happens, hire someone who has a great personality rather someone who has superb skills but has a foul character. You would want your customers to be treated well and make them enjoy the time they are spending in your hair salon. Of course, the skills and talent of your employee should still be there. But, you shouldn’t base your choices on skills alone. Character matters. When customers are satisfied with your services, they will definitely become repeat customers. However, this doesn’t mean that you should loosen up on your marketing efforts. Even if you have a steady influx of customers, you should still continue on the marketing efforts that you have been using. Or, it would be much better if you improve them. Try different marketing stints so you would know which method is the most effective. A business plan is a work in progress. As time passes by, you will learn new things about your business and your customer base. It’s a great idea to take a look back at your plan, read it over, and make sure that you are still on track. It is most likely that there will be changes that are needed to be done, and you should do it now. In whatever business you are in, always keep in check with the finances. Buy the necessary equipment or materials and avoid splurging into useless things that you think would provide to be beneficial for your hair salon. Take a look at your monthly expenses, too. Are you spending too much? Is there a certain allocation that you an realign or get rid of? Make necessary changes if you think it would benefit and improve your hair salon. Choosing a design can be as difficult as choosing an answer in a multiple choice exam. 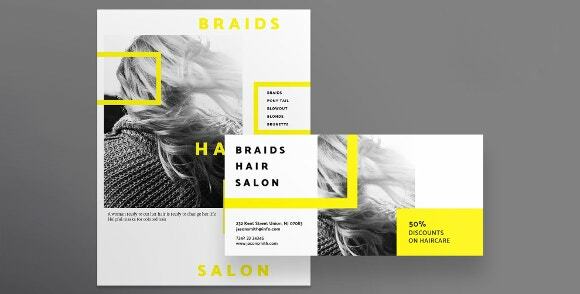 Pick the design that you think will best represent your hair salon’s identity. 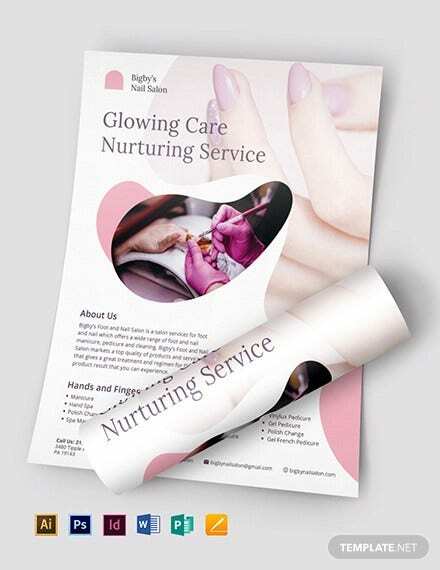 It is important to do so as it solidifies your identity when you use it on your flyers and distribute them to potential customers. 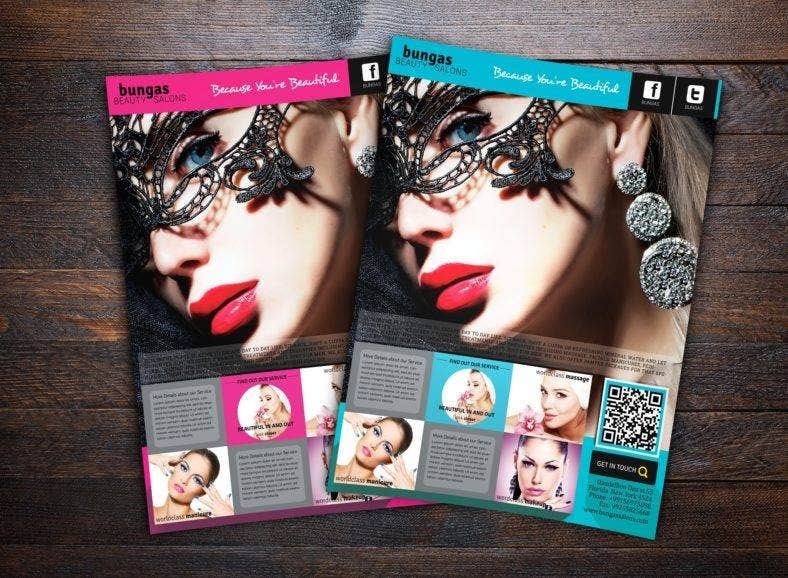 You need to make your customers instantly grasp the identity of your brand when they take a look at your flyer. Also, always remember to make your design the most attractive one possible. Beauty is a weapon. Use it to your advantage. If you are still undecided, make sure that you bookmark this page so you can go over it if again. We wish you the best in your endeavors and your business’ success. Good luck!